When considering your options for an Aliso Viejo drain cleaning company, don’t look any further than the team at Scott English Plumbing. You can reach us at 714-987-9801 or 949-462-9773 or stop by our office at 1230 North Jefferson St, Suite H, Anaheim, CA, 92807 where you will be greeted by one of our friendly and knowledgeable team members ready to help. Each of our Aliso Viejo drain cleaners is professionally trained and committed to the complete satisfaction of our customers. We’ll get your drains flowing freely and safely in no time. To make sure that our services stay accessible to those who could benefit, we keep our rates for parts and labor as low as we can without cutting corners or using mediocre products and materials. We could provide you with a detailed cost estimate before we get started, and we will do our best to save you money. Our Aliso Viejo drain cleaning company is known for providing a great value for the cost, our honesty has earned the trust and loyalty of our many customers. We know the many issues that are be associated with a drain that is flowing slowly or not at all. Our Aliso Viejo drain cleaners will arrive at your home on time and will make every step of the process as seamlessly as possible. Our rooter service in Aliso Viejo can be applied to a wide variety of issues, and we will make sure to find the right cause of your slow drain before we continue. 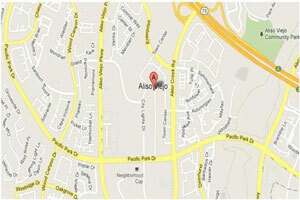 Finding someone who offers quality rooter service in Aliso Viejo doesn’t have to be difficult. We’re transparent about everything we do, and we have the skills to handle jobs of all complexities or size. Our Aliso Viejo drain cleaning services will protect your pipes and help prevent clogs in the future. We want only the best for our customers and work with their interests in mind. Our crew can help you with any project involving drain cleaning in Aliso Viejo, our drain cleaning specialists will keep their work area clean and your property protected from damage. We work hard to make sure that our customers have peace of mind when it comes to their pipes. Call us today at 714-987-9801 or 949-462-9773 and worry about clogged drains no more.